When we say ‘live artfully’, we mean it! You’re invited to check out our featured artist Jenifer Renzel for her artist’s reception right here at The Pierce lobby on November 4. From 7-11pm, enjoy Renzel’s “Creatures and Wunderkammers.” The exhibit focuses on beings that never were. Come see the Huffelmump seek waffle bockers, examine miniature insect people from another planet, inspect the flying old gods from Lovecraft’s world. Can people and hardware be combined? Was there once a strange medical lab that provided ‘unique’ services to ‘unique’ patients? The special musical guest will be singer songwriter Lisa Dewey. Jenifer Renzel is an assemblage artist and painter who learned her craft through trial and error and the mentoring of good friends. She has been creating assemblages for the past 12 years, developing a unique style that is both dark and whimsical. She loves broken down old things because of the stories they carry and the things they have seen. 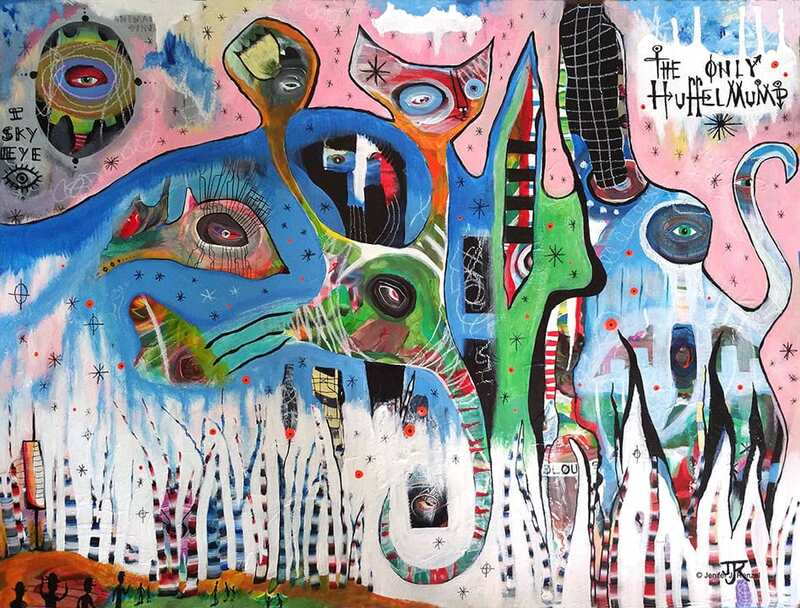 Jenifer began painting more recently after becoming interested in modern outsider-art. When you live at The Pierce, you’ll be surrounded by creativity and inspiration at every turn like this, including South First Fridays. We love supporting local talent!